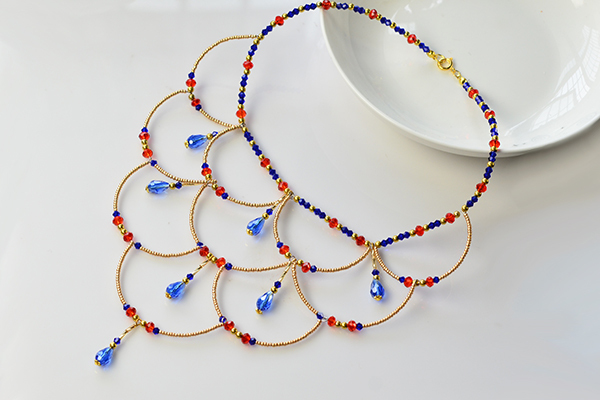 Summary: Love the following vintage style necklace? 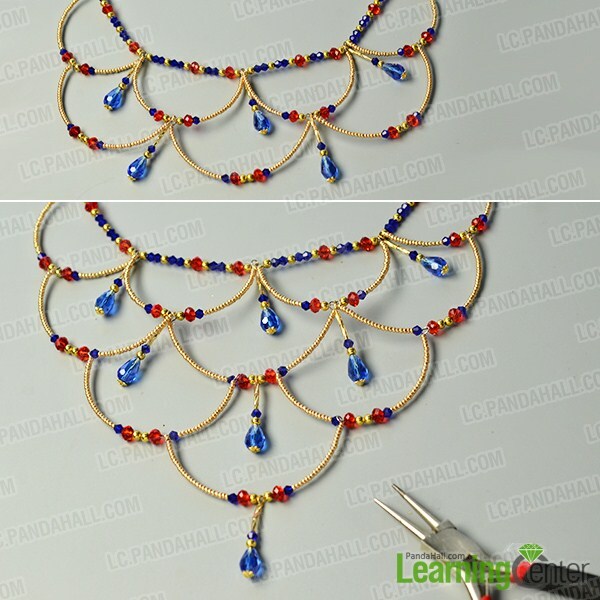 Just check the tutorial below to see how to make this vintage style necklace. 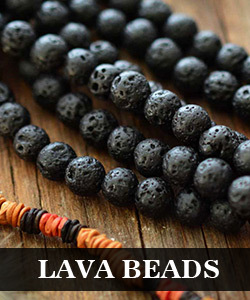 If you're looking for bead necklace designs, you may try the above vintage style necklace with glass beads and seed beads. 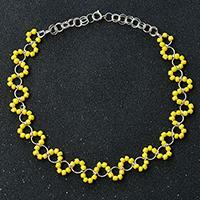 The design idea of this vintage style necklace comes from this necklace shared by Zelma Goodine. 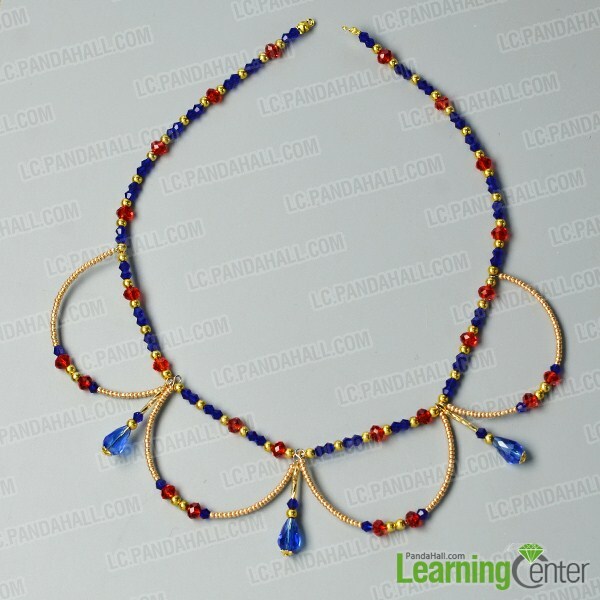 Follow me to see how to make this vintage style necklace with glass beads and seed beads. 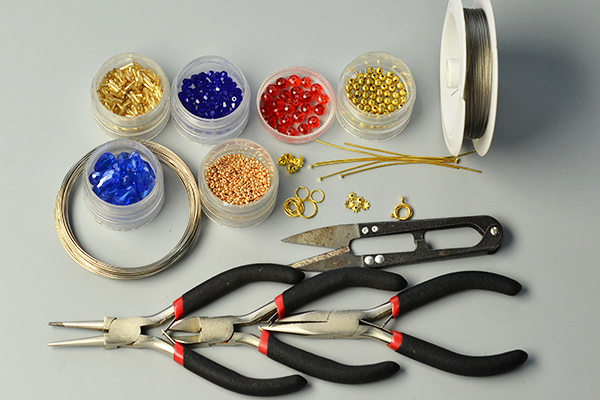 4th, add about 26 2mm golden seed beads, a blue bicone glass bead, a red abacus glass bead, 2 4mm golden round beads, a red abacus glass bead, a blue bicone glass bead and 26 2mm golden seed beads to the platinum memory wire. Then, make a loop on the other end of the platinum memory wire (as shown in the picture). 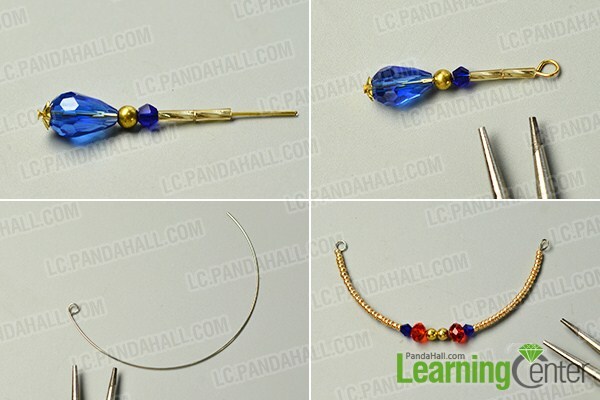 4th, add the semi-circular bead pattern and the blue glass bead drop pattern made above (as shown in the picture). 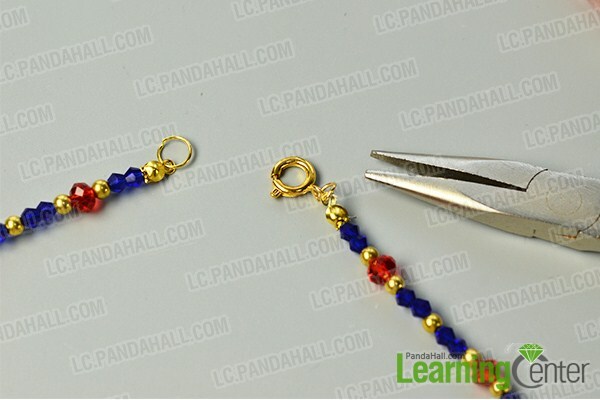 4th, add a golden jump ring to the left end and a golden spring clasp to the right end (as shown in the picture). Here is the final look of the vintage style necklace. 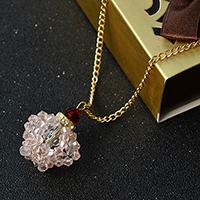 What do you think of this vintage style necklace? 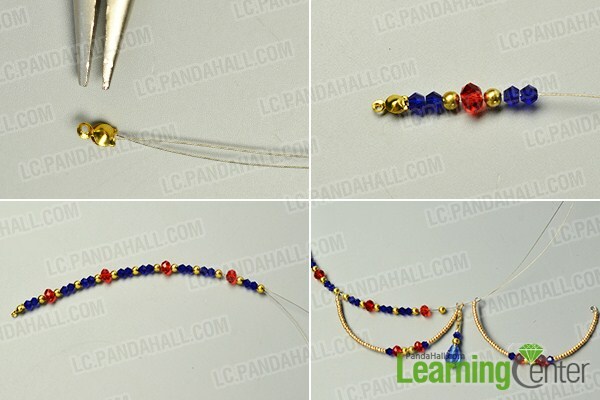 Please pay attention to the sequence of the beads when you add the beads. Try to make one if you're interested in this vintage style necklace. An easy way to save any webpage as a PDF is to right-click on an empty part of the page and choose PRINT. Then when a window pops up giving you choices; choose "Microsoft print to PDF" and then a window pops up allowing you to choose where to SAVE it. It doesn't print but saves as a PDF.